Do you rotate toys? We do. When I organized my boys’ room recently, not only did I purge and find a new system to keep it all straight, but I also did a lot of toy rotating, which keeps my sanity. My kids kind of make me feel bad for rotating toys because they just love that toy that I’m putting at the top of the closet, the one that they haven’t played with in three months. But I rotate toys anyway. It keeps things clean and picked up, but it also is more fun for them because in a few months, when I rotate again, the kids have “new” toys that they haven’t seen in ages. My rule of thumb is if you there’s a toy you don’t feel like cleaning up, then don’t have it out. It’s that simple. 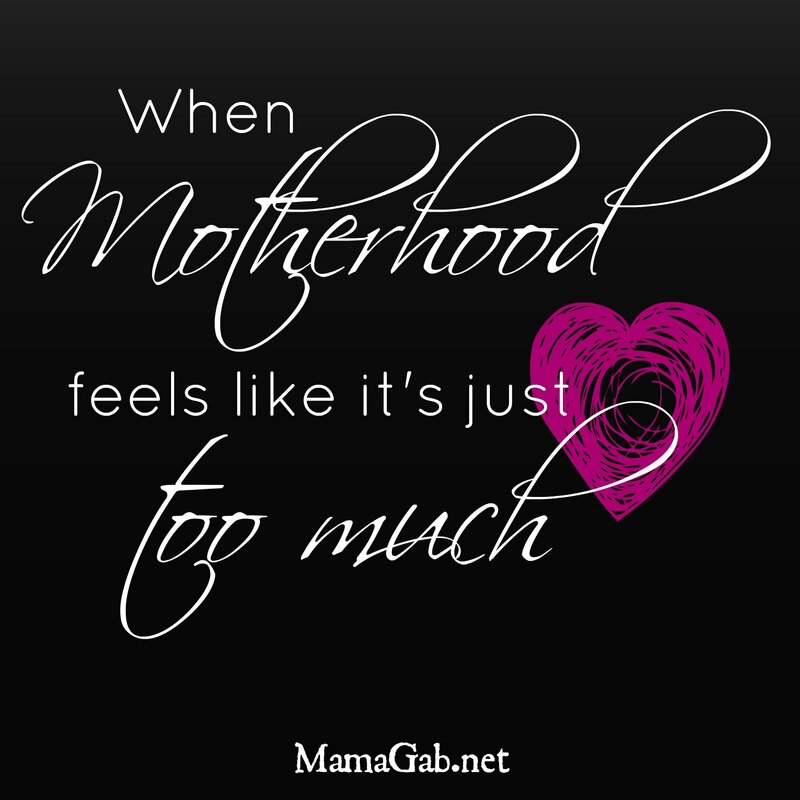 So during pregnancy, we rarely pull blocks out, and that’s OK. It’s just a stage of life. I have two ways of rotating toys. The first is simple. I keep boxes that are not transparent at the top of one closet. Every once in a while, I pull out the contents of those boxes and put other things away in them, usually items that haven’t been played with in a while. The reason I don’t want the boxes to be transparent is that my kids will ask me about those toys every single time I open the closet door to get out a pair of shoes. So out of sight, out of mind is true with rotating toys. I also rotate larger things into the attic. Our toy kitchen is currently in the attic because it is huge and was not being played with frequently. When it comes out of rotation eventually, it will be well-loved by the kids. The toys that I’ve rotated out of the supply are in those boxes. This is also proof that I can’t cloth diaper all the time! So if you’ve been wondering how in the world I manage it all, just know that we do real life over here, and sometimes we can cloth diaper and sometimes we can’t. I’d never want you to think that I’m SuperMom. The other way I rotate toys is that we have an additional (small) closet in my boys’ room where I keep a lot of extra gear (like my free breast pump, breathing machine, humidifiers, extra nursing covers, etc.). At the bottom, I keep toys that I simply don’t want out all the time. My “extra closet” in the boys’ room is great for surplus gear and rotating toys. My rule is that the kids must ask permission before getting these toys out. I almost always say yes, unless it’s 5 minutes before bedtime or right before we leave to go somewhere. Always saying yes makes it easy for my kids to obey this rule, and then there are real consequences for not asking me first. If I don’t feel like cleaning up Legos, then the Legos are not going to be out all the time. We have five different kinds of blocks (Legos, MegaBlocks, bristle blocks, wooden blocks, and castle blocks) and I simply do not feel like stepping on cleaning up blocks all day long, or making them clean them. I usually limit them to only one or two types of blocks out at one time. Do you rotate toys? How do you keep the toys under control? That is awesome. I have seen so many parents rotate toys and I think it’s sooo neat. I use that same cardboard box strategy. We keep toys in rotation, though we really try to keep minimal toys in the house anyway so it doesn’t get too crazy. I’d rather my kids pull out art supplies (which get used up and tossed!) so we don’t store toys. Ooo, art supplies kind of drive me crazy…But then I guess messy art stuff isn’t much worse than stepping on a lego or a little green army man. I don’t but I should! I love the way you do this. It’s an awesome idea and a great system. 🙂 Popping over from SITSSHAREFEST and I pinned your post to the SITS board! Thank you! Something had to give–we were drowning in toys! Christina recently posted…One month down, Eleven more to go. It’s a perfect time to start!! Smart mama! I don’t currently rotate toys, but I should. I’ll admit that there have been a few times that I’ve just tossed all the toys laying aound in a big rubbermaid bin and tossed it down in the basement. I could get those toys abck out and it would be like Christmas!! We finally have a bette organiztion systen for toys oveall, so I think I’m going to try doing this. Plus, toy rotation time seems like a good time to get rid of some stuff we don’t need/want/play with anymore. Thanks for this great post! Yes! I am constantly purging! Great idea! My little man hasn’t accumulated quite enough toys for that yet in his 8 months of life, but I’m definitely storing this idea away! Thanks. Thanks for coming by! We weren’t there at 8 months either, but that time will come. I used to rotate toys as it kept interest alive in toys that they seemed bored with. When they rotated back out, their interest was renewed. I visited from The Titus 2sday linkup this morning. Have a great week! Isn’t that the best part? Instant new toys, and you didn’t have to spend a dime! Rotating toys when my kids were little helped me keep my sanity too. It’s a great technique. Now if I could only figure out how to do this so that it works for teens. 😉 Thanks for sharing. Oh yeah…I’m pretty sure it won’t work for them! We do rotate toys, and it makes it much easier to keep the house clean. However, I do still admit to having some toys out that I really never want to clean up – and, despite my best intentions, the kids don’t always clean them up either. Your tips for storing and rotating are great. Thanks. Not wanting to clean up the toys was one of my biggest clues that something wasn’t working for me with our old system of organizing toys. Once we switched to this system, I found it easier because everything has a place, so cleaning only takes a minute. This is a good idea and good use for those Pampers boxes! I find Nicky has so many trucks of different sizes it’s good to rotate them. I use the old camp cot to keep toys in and also upper shelves for fluffies. Sometimes he looks up and grunts at them, that’s how I know he wants them! Oh we have a gazillion trucks & cars for my boys! And they love every single one of them. Like you, I keep my extra cloth diapers up at the top of the closet too. I don’t use prefolds and covers often, but they’re up there when I need them! I love rotating toys. It makes me look like Santa in my child’s eyes. It’s not going to work forever, so do it while you can. Ha, that is funny, but you are so right! I keep thinking I need to purge our playroom, but still haven’t gotten around to it. So, I’m liking the idea of rotating toys instead of trying to get rid of them. Because, even though my kids have a ton of toys, they really only play with the few that are visible and easily accessible, so why have all the clutter? Great idea! Exactly! I purge regularly too.